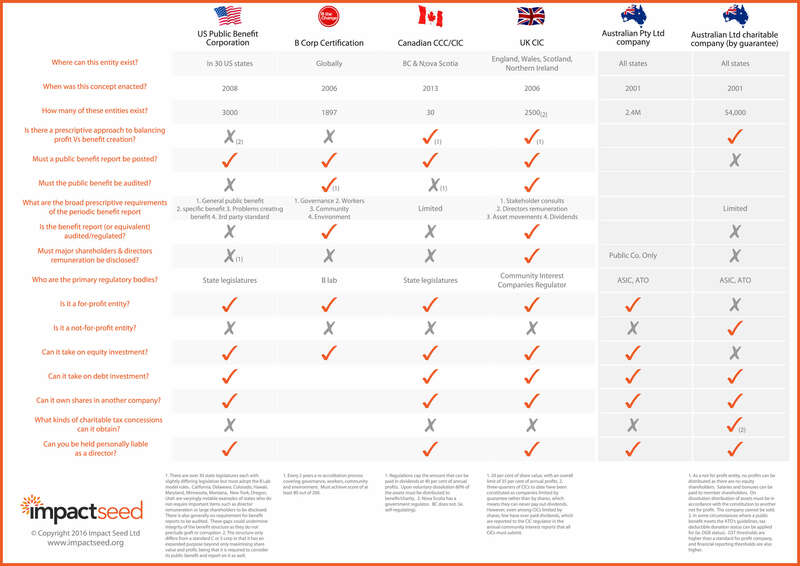 The US, UK, Canada and several EU jurisdictions have already created such structures, leading to a thriving ecosystem of businesses and startups which exist to make money while doing good. Such structures are important in leveraging trillions of dollars globally in private equity into impact investment. Further, it speaks to an increasingly conscious consumer sentiment. And finally, and significantly, it has government spending upside as private enterprises are developed to solve some of our most intractable social problems.